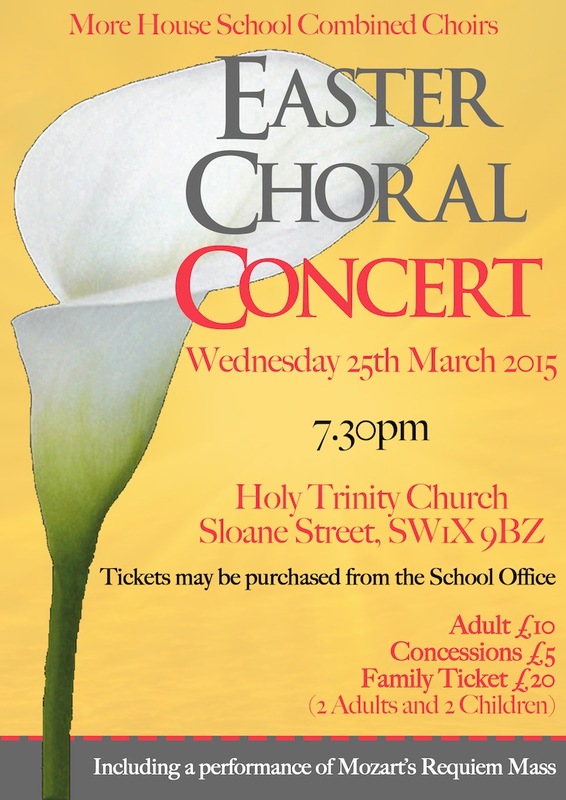 Easter Choral Concert 2015 – Tickets now on sale! It’s that time of year again! This month, More House invites you to celebrate Easter with us at our annual Choral Concert. Tickets are now on sale in the School Office. ← Calling all Year 11, 12 and 13 students!